It's spring! I wanted to paint flowers; just for the joy of painting color. And just for fun, I wanted to use the Pantone Color of the Year for 2015: Radiant Orchid. 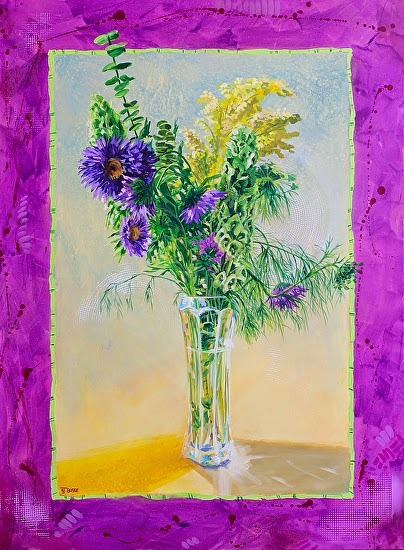 I loved the color and loved the idea of incorporating such a rich, vibrant shade into a still life.